Interview with the amazing and astonishing Sam Dickinson. 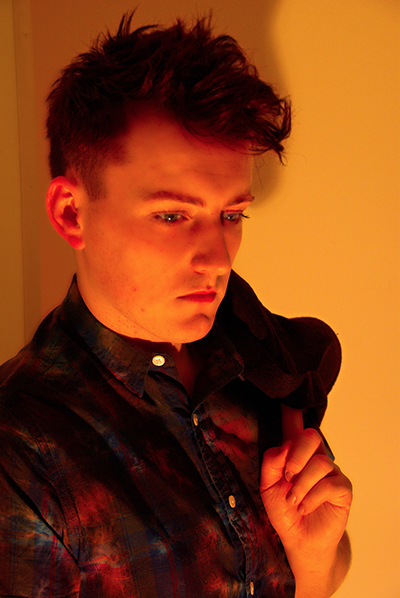 Sam belongs to the new generation of talented singers and songwriters that deserves attention and support. 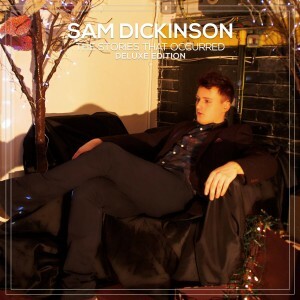 Unsigned soul singer, with a wonderful voice that touches your heart and soul, he has released an year ago his first album, “The Stories That Occurred”, and on Friday he’ll release a new “The Stories That Occurred (Deluxe Version)”. You have released your first album “The Stories That Occurred” one year ago. Looking back to what has followed how do you feel? I’m incredibly proud. When I started recording and releasing this album I was essentially, clueless, to how the music industry worked. I was obsessed to a point that I should look to release the most commercial of my tracks, even though it’s not a commercial album, it wasn’t until I started touring that I realised that people were preferring the non commercial tracks on the album, the tracks which had a more Northern Soul feel to them. When You Left Me was meant to be the original lead single but we switched at the last moment. I’m glad it’s seeing public attention now because it deserves it. It’s a great album and I know I’m biased but the reviews speak for themselves, negative reviews have been few and far between, people seem to really like this album which makes me incredibly happy. Were you expecting or have you been surprised by all the positive acclaim you’ve received? I was really surprised. I get really nervous every time I open a new review because it’s people analysing your baby. People have applauded my bravery because I could have made something more common but I really wanted to pay homage to the sound of the 60’s and 80’s and thank all those great artists who created such stunning music. I do enjoy seeing who reviewers think I sound like, I’ve had Lulu, Otis Redding, Meat Loaf, Alison Moyet, Mick Hucknall, Boy George…the list goes on. It’s a huge compliment really. Retrospectively do you see “The Stories That Occurred” as the achievement of a dream, or the beginning of a new era in your life and career? It’s the beginning. I don’t plan on just releasing one album and that being that I want to create music for the rest of my life. After 12 months and a fantastic tour, you’re about to release (August 1st) “The Stories That Occurred (Deluxe Version)”, what can you say about this new work? Well it’s 37 tracks and includes some brilliant remixes, acoustic versions and instrumentals of the original album. It has something for everybody so it’s aim is to increase my fan base further and wider. I want to play international gigs but I need the fan base there first. It’s an introduction to me, albeit a long one! The Album contains several remixes, acoustic and instrumental version of your songs. Are these versions adding more soul to your work? In a way yes! The album really focuses on MoTown and Northern Soul in it’s original form, the remixes bring a contemporary soul and 90’s sounding soul to the proceedings. They give people more chance of hearing my music in a nightclub or a coffee shop depending on which version is your preference. You are a soul singer and you write your own songs. Do you think that this means that you put much more of yourself in your work? You have to!! Especially when you’ve written an extremely personal song which is still raw emotionally. To make sure as much of me as possible was in the album I took a picture of the person a song was about into the studio and sang it to them. It was emotionally draining and exhausting but it’s worth it, you can hear it in the songs. Something like ‘Our Day’ I gave my all. When did you realize that you have an incredible and wonderful voice and decided that singing is your life? I always loved singing and acting. I always knew I could sing but at school I was never the first choice singer for events, I wasn’t even the 4th or the 5th! It wasn’t until I started working with a singing teacher called Jane when I was 16 that I really began finding my own voice. I then began lessons with a lady called Beryl and really made my voice my own and built up my confidence to be different vocally. I am so thankful for that because without those ladies I’d still be singing classical music and hating it, in fact I wouldn’t even be singing! Still creating a career is a difficult path for anyone, what keeps you going and motivates you the most? Great live shows. Seeing people singing you songs back to you makes it worthwhile, it makes all the pain worth it! Back to your new album, where can we buy it? iTunes, Amazon, Bandcamp, my website…it’s everywhere online! Finally for those that want to see you perform live, can you give the dates of your next concerts? I’ll be playing two live shows before announcing another tour. I am playing at Hoochie Coochie in Newcastle on 19th September and St Pancras Old Church in London on 7th November. A big, huge THANK YOU Sam for answering my questions. ~ by maxturci on July 28, 2014.